Traditionally, the funeral industry is a male dominated field. But the landscape is changing and over the years women have become more interested in working in a funeral home. 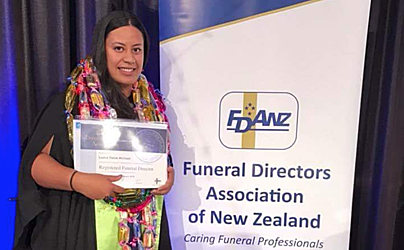 Now, Samoan woman, Luana Michael, has become Samoa’s first qualified female funeral director. Based in New Zealand, Luana has roots in Lelepa, Togafuafua Salevalu and Aleipata. She works at South Auckland business, Ese Tatupu Funeral Directors and Mortuary Embalmers. The young graduate recently achieved the Funeral Directing qualifications at the Wellington Institute of Technology, which is the only learning institute in New Zealand that offers such a qualification. Speaking to the Samoa Observer, the 25-year-old tells us that she has always had an interest in working within the funeral home environment. “My background was working for the Manukau Memorial Gardens Cemetery, Auckland,” she said. Having knowledge and experience of Pacific Island funeral practices is an important aspect in some requests from families in New Zealand for their deceased ones. Laura was able to work directly with Funeral Home Director and owner, Ese Tatupu, who is also a qualified Weltec supervisor. 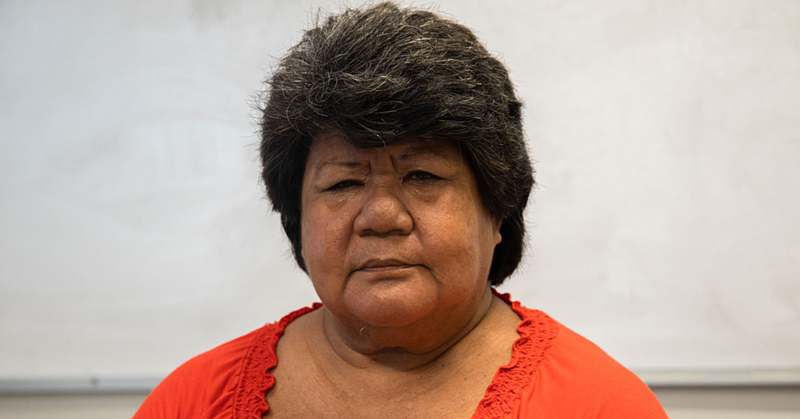 “I was taught all facets of traditional Samoan cultural and religious undertakings of funerals by my mentor and course supervisor – Ese Tatupu,” she said. “I was given the knowledge and gained experience by working with Ese Tatupu on the front line, out in the community." While the thought of handling corpses may send shivers up on most peoples’ spines, Mrs. Michael feels comfortable in the funeral home environment and says her only fear is really the actions of the living. “No, I do not get frightened; however I do get scared when the funeral bill is not paid." The young funeral director from Tatupu Funeral Directors is the daughter of New Zealand born Samoan parents. Her father’s family is from Lelepa and Togafuafua and her mother’s family is from Salevalu and Aleipata. While there has not been a need yet to expand to Samoa, Mrs. Michael says they maintain good working relations with Sefo’s Funeral Service in Samoa. “If there was a need for our services in Samoa, we would certainly consider opening a branch. However, in New Zealand we work along with Sefo’s Funeral Services in both Upolu and Savai’i.